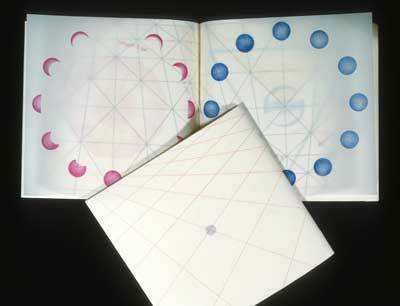 Arachne/Amaranth is a limited edition artist’s book, offset printed on translucent paper. Joan’s drawings, paintings, prints, and artist’s books have been exhibited both nationally and internationally. She has published three limited edition artists’ books, Arachne/Amaranth, 23 Eggs, and Passages: Understood and Agreed. Arachne/Amaranth was partially funded with a National Endowment for the Arts grant and 23 Eggs was partially funded by a grant from Pyramid Atlantic, Silver Spring, MD. Drucker, Johanna. The Century of Artists’ Books, Granary Books, New York 1996. Pages 136-137, photo page 136. Library of the Corcoran Gallery of Art, Washington, D.C.
14th, 16th, 17th & 18th Annual Lines Into Shapes, Art Center of Estes Park, Estes Park, CO, 2010, 2012, 2013, 2014 (Juried). 16th, 17th, 18th & 19th National Juried Exhibition, Plein Air Artists of Colorado, Taos, NM, 2012 | Abend Gallery, Denver, CO, 2013, 2014 | Mary Williams Fine Arts, Boulder, CO, 2015 (Juried). 28th & 29th Annual National Juried Fine Arts Show, Louisville Art Association, Louisville, CO 2013, 2014 (Merit Award). Boulder Artists Going Local, Canyon Library, Boulder Public Library, Boulder, CO, 2009. The Spirit of Chautauqua, Chautauqua Community Center, Boulder, CO, 2008. Open Studios Boulder, Boulder, CO, 2008. High Plein Air, Denver, CO, 2007. American Artists’ Books, Kunst Centret Silkebord Bad, Denmark, 2004. For more information about my fine arts career, please download a copy of my Resume. For information about my graphic design career, please download a copy of my Design Resume.